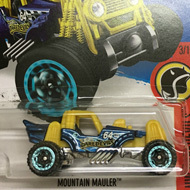 215/250 is a 2016 Treasure Hunt and 5/10 in the HW Rescue series. The red car features a white graphic and yellow stripes on the hood. The roof is white with “HWFD” and a red & yellow outlined “8”. The sides are detailed with yellow stripes, “Fire” inside a white stripe, a fire department emblem, “Dodge”, “8”, and the low production symbol. 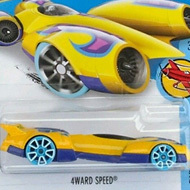 The vehicle has clear windows, a yellow interior, Open-Hole 5-Spoke wheels, and a black plastic Malaysia base. 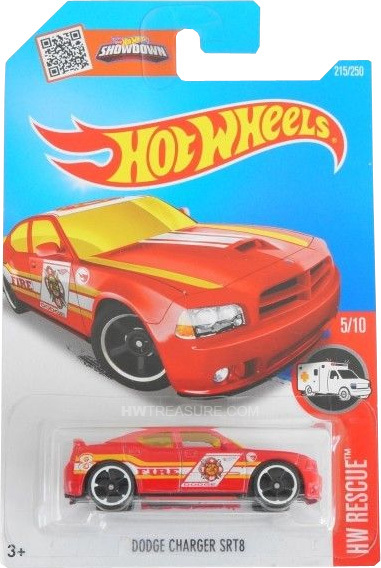 The Charger can be found in mix “E” of 2016 Hot Wheels mainline cases. SRT8 made its debut in the 2007 New Models series. It is based upon the high performance vehicle of the same name.